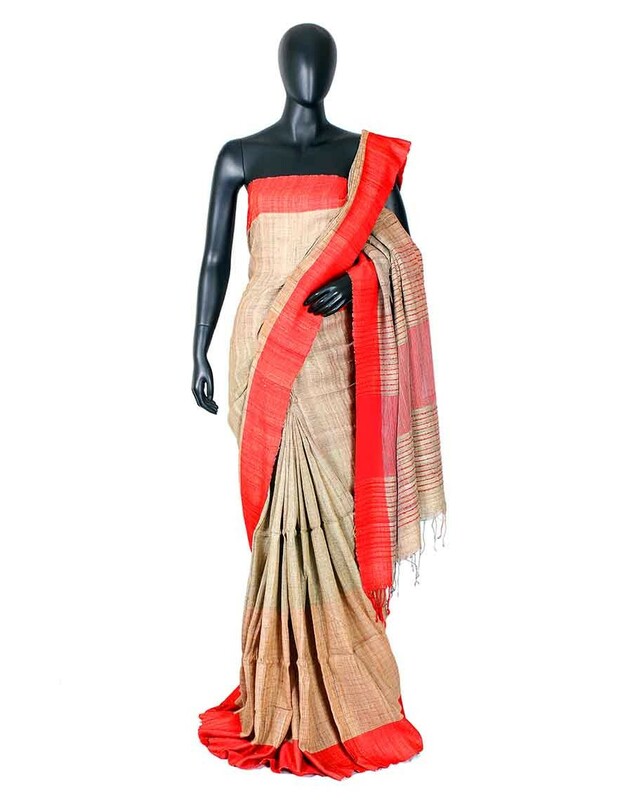 Amazingly crafted ghicha silk saree from Kolkata. This is a sophisticated look and fine finish saree with attractive design and elegant colors i.e. off-white and red. This 6.5 meter length saree with blouse is skin friendly and available in latest design. Its fabric is very comfortable and it is non shrinkable too, available only in Kabita’s saree collection.